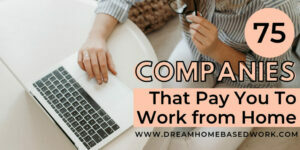 If you are looking for ways to make some money on the side, you can run various types of errands for others in your area and actually get paid to complete them. There are many ways to get paid to run errands. 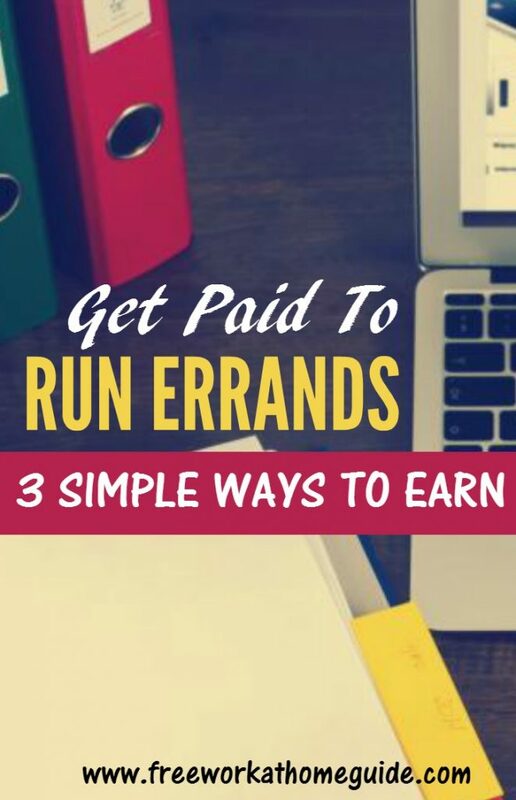 There are some companies, websites and apps that offer you opportunities to run errands and get paid when you complete them. These tasks are flexible but many of them do not necessarily have to take place at home. Here are 3 simple ways you can run errands for people in your area to make money on the side. Gigwalk is an app that allows you to make money by completing product-audit assignments at your local retailers. Manufactures want to know if their products are in stock and displayed appropriately at the stores in your area. You can help out the manufacturers using this app while making money for running this simple errand for them. Download the app for your Android or iPhone for free and then set up a profile for yourself. When you browse gigs, the app will identify available gigs near you using GPS. When you find a gig you want, apply to it. If you are approved for the assignment, complete it and get paid. A product-audit gig involves you going to a specific store and check to see if a particular product is in stock and displayed appropriately. This app verifies that you are at the right store via GPS. You will take a few pictures to identify the store and product. Once you upload the pictures to the app, you have just completed the assignment. Most product audit gigs only take a few minutes to complete each. So, you can complete many product-audit gigs in a day. 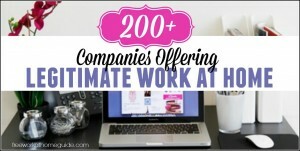 You can earn anywhere from $7-$12 for this gig. You get paid via PayPal for each gig you have completed after it is approved. There are people that actually do not have the time for grocery shopping, so they hire people to do it on behalf of them. You can sign up as a “Tasker” with TaskRabbit and get paid for doing grocery shopping for people in your area. Once you register on TaskRabbit as a Tasker, you will have access to job opportunities available in your area. There are various types of errands you can run via TaskRabbit like house cleaning, grocery shopping, handyman and even digital tasks like data entry and usability testing for people in your area. Sign up to become a Tasker. Register on the site by completing an online form and check your email for an invitation to orientation. Complete the orientation and download the Tasker app to start tasking. TaskRabbit pays you directly via their online payment system right after your tasks are completed. You can set your own rates for specific types of tasks. You can run errands part-time or full-time depending on services you offer, the demand of your services and how much you work. You can control your rates, schedules and type of work you want to do with TaskRabbit. They are currently available in 19 different cities nationwide, but check to see if they are expanding if it is not available in your city. DoorDash is a company that hires home-based workers to deliver food, primarily pizza from local restaurants and other items from local merchants to customers. Once you are hired, you will take and place Pizza orders for these restaurants from customers. If you are at least 18 years old, have an iPhone or Android smartphone, and 2 years of driving experience with valid driving license, insurance and clean driving record you can use any car to deliver food and other items to customers. 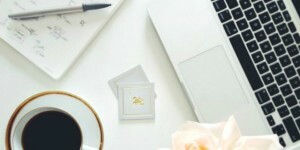 You can work on your own schedule – in the morning, at night, or anytime that is convenient to you. You make great money as well as keep 100% of the tips. If running this errand interests you, apply online, attend orientation and start dashing. This opportunity is available to specific cities, so check to see on their site if your city is in the list. Although these three companies offer opportunities to run errands and make money on the side, these types of opportunities are available to specific cities, particularly big cities. However, if you live in or near a big city, you can get paid to run these 3 simple errands. If you are looking for making some extra money on the side, then running errands for others in your area might interest you.